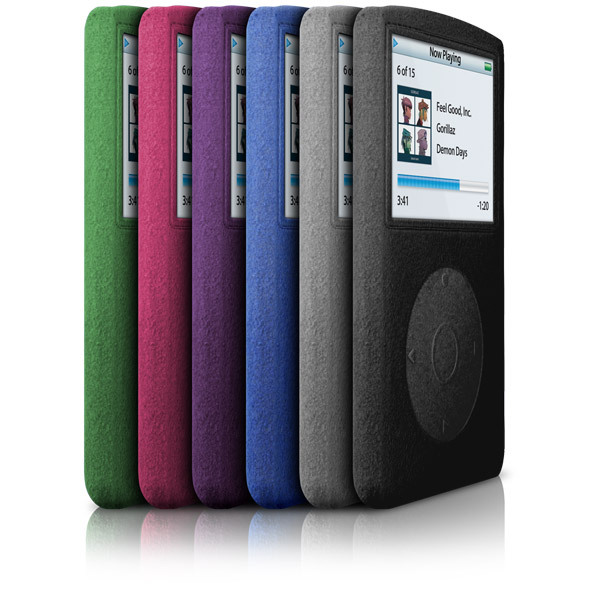 Sleek and luxurious form-fitting Optex sleeve protects iPod's housing, display and controls without adding bulk. 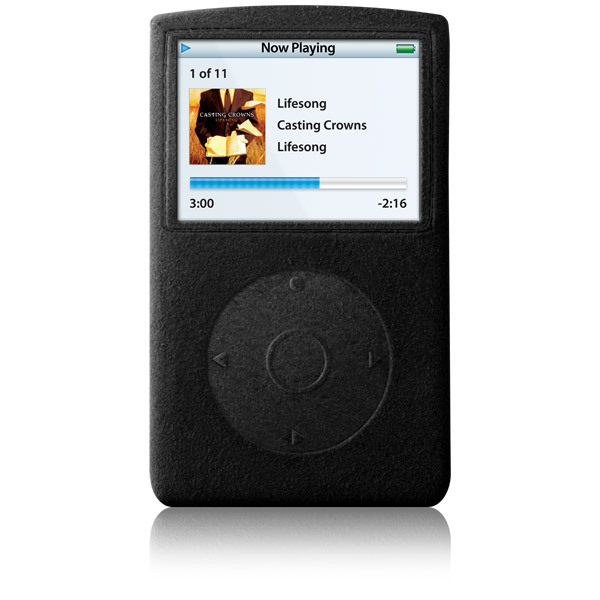 Full iPod control right through the sleeve - debossed control zones provide optimized control sensitivity. Description: RadSleevz, an innovative protective sleeve case for 5th Generation iPod. Made from RadTech's exclusive Optex fabric - super soft and ultra tough for durable, long-lasting protection of your iPod's finish, buttons and display. RadTech's signature control zone debossing transmits Click Wheel scroll and touch perfectly, allowing full and optimized control of your iPod directly through the sleeve. Since there are no display or control cutouts, RadSleevz provide you with an added dimension of protection - without adding bulk. Form-fitting RadSleevz enhance your grip when handling and provide a snug fit within the Apple-supplied iPod clip cases - you'll never have to worry about your iPod unintentionally slipping out of its case. Easy access: RadSleevz for iPod feature a windowed port for sync/charge cable access. RadSleevz for iPod mini and nano feature an open bottom. Note: RadSleevz for iPod allow syncing / charging via cable only if used with older Apple docks. Sleeved iPods will dock with Apple's newer Universal Dock with adapter plate removed.